It may be a little late to be talking about Valentine’s Day but I’m going to reminisce for a few minutes. 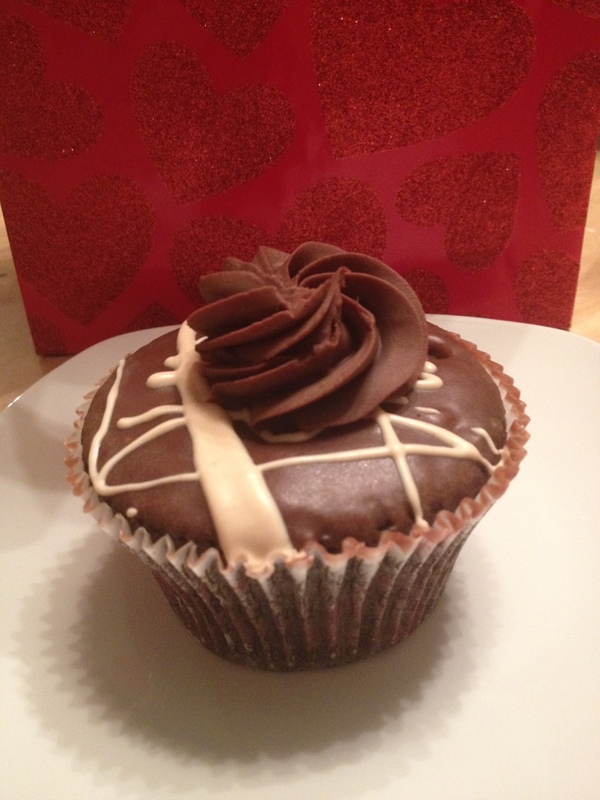 Boy Cupcake and I had a lovely Valentine’s Dinner at The Cottage in Chestnut Hill. It was actually the first time that we’ve ever gone out to dinner on Valentine’s Day. When we were leaving dinner we noticed that Treat Cupcake Bar was next door! I had been to their location in Needham and did the make your own cupcake (super fun and would make a great kid’s birthday), but had no idea that they had another location! The whole area over there is really built up with lots of shops, restaurants, and the best movie theater ever! The only downside is that because there’s so much over there now, it can be hard to find parking. I digress. Anyway, we decided to stop in and get a cupcake to take home for dessert. I went in wanting to share a cupcake (they’re huge!) but Boy Cupcake had other plans and wanted his own. So he ended up with a lemon drop cupcake and I got the chocolate peanut butter overload. I of course had to try both for research purposes. The lemon was delicious. It had a yellow cake, lemon frosting, and was garnished with sugar and a candy lemon. 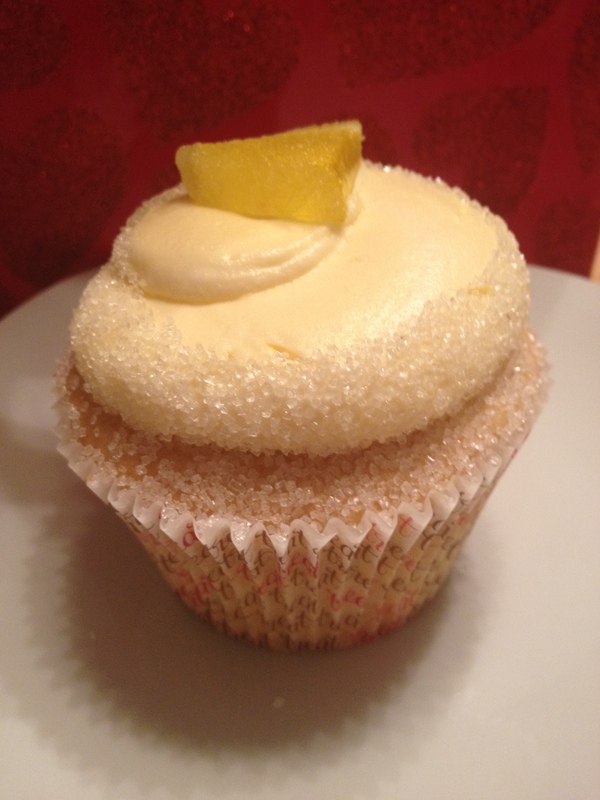 The combination of the yellow cake with the lemon frosting was perfect for the right balance without being too lemony. The chocolate peanut butter overload was right up my alley. It was a chocolate cake with peanut butter filling and topped with ganache. I’m obsessed with the chocolate and peanut butter combo so I could have used just a bit more peanut butter in the middle but I can’t say this cupcake was disappointing. I’d definitely get this one again, although next time I want to try the Needham cream pie cupcake!